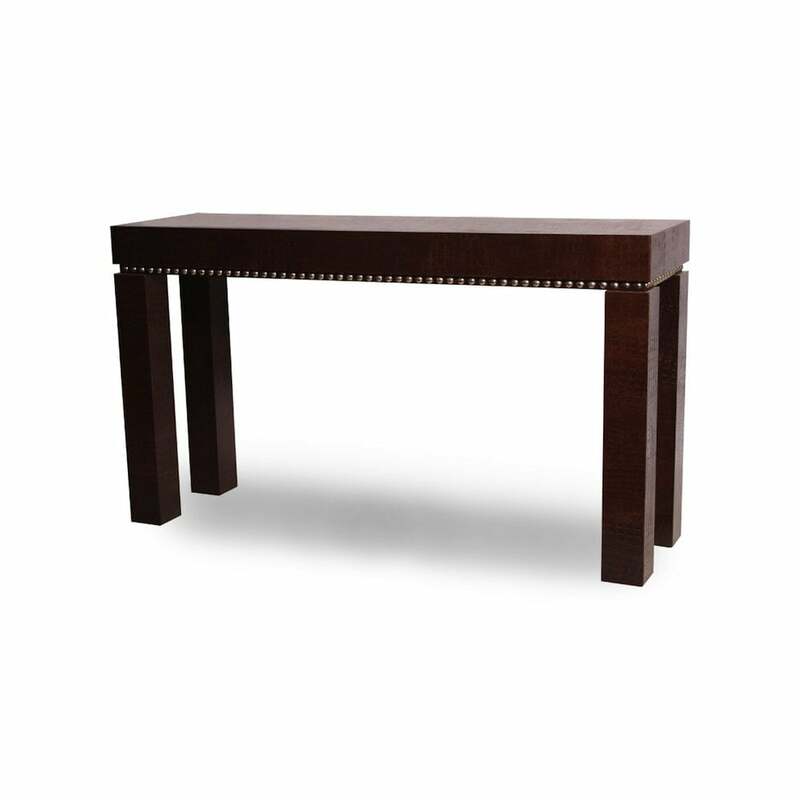 Contemporary leather console table with four square legs. Shown in brown croc with nickel stud detailing. Choose from over 100 leather finishes, also available with chrome detailing. As with all Simpsons pieces, this console table has been handmade in England.